Practically every American spends too much time on their digital devices. For many, the thought of life without a smartphone is surreal. While technology makes everyone’s life a little bit easier, a new study suggests that the blue light emitted from smartphones, laptops, and televisions can lead to macular degeneration and blindness. If the research holds true, we can all benefit from moderating our smartphone exposure. 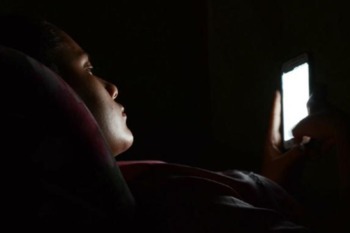 "We are being exposed to blue light continuously, and the eye's cornea and lens cannot block or reflect it," said Ajith Karunarathne, co-author of the study. "It's no secret that blue light harms our vision by damaging the eye's retina. Our experiments explain how this happens, and we hope this leads to therapies that slow macular degeneration, such as a new kind of eye drop." Please contact SDCB for more information about our innovative programs.